Heather Murphy, a naturalist, watches for birds with the trained eye of a wildlife biologist, then makes a few field notes. From her journal: "I hear tzeet-tzeet-tzeet. Fast movement. Ah, a tiny kinglet. Which kinglet? Hm.m.m. No leaves anymore, so I easily see an olive-green back. And through my binocs, eye stripes! Aha! 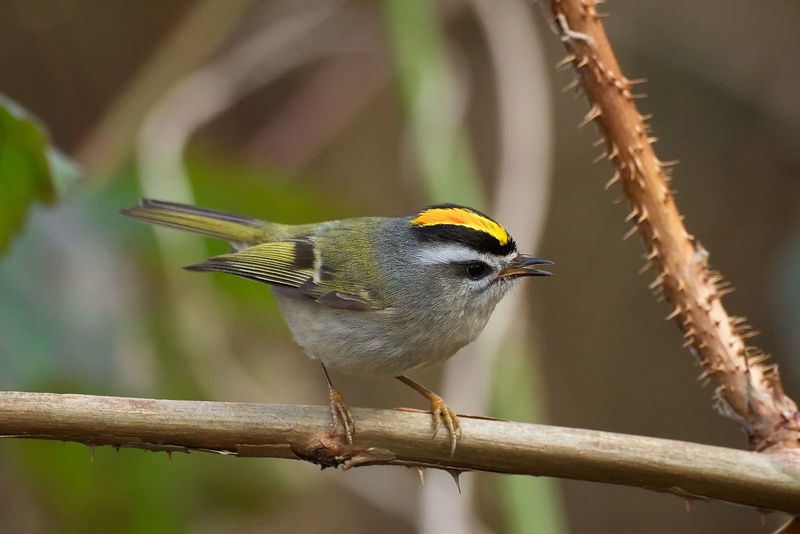 It's the Arctic-loving Golden-crowned Kinglet." Peek into Heather Murphy's journal, where you can see her drawings. See more of Heather's work at WildTales.com. “The sun glances off overhead branches and I hear tzeet-tzeet-tzeetz…fast movement. “No leaves anymore … so I easily see an olive-green back. And through my binoculars, eye stripes! Aha! 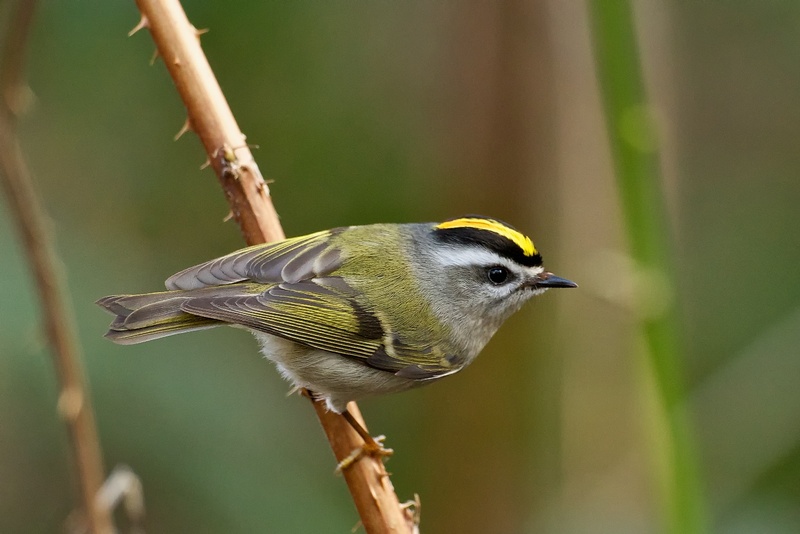 It’s the Arctic-loving Golden-crowned Kinglet. Take a moment to turn to the next page in Heather Murphy’s journal. 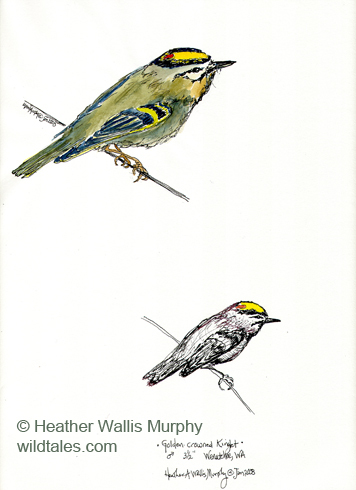 Come to our website, birdnote.org where you can see her drawings. Sounds of provided birds by The Macaulay Library of Natural Sounds at the Cornell Lab of Ornithology, Ithaca, New York. Calls of flock of Golden-crowned Kinglets 44839 recorded by Geoffrey Keller; song of American Dipper 105898 by Geoffrey Keller. Ambient stream recorded by J. Kessler.